It’s the right time now and Pittsburgh Steelers need to put their foot down as far as drama, disruption and discipline is concerned. 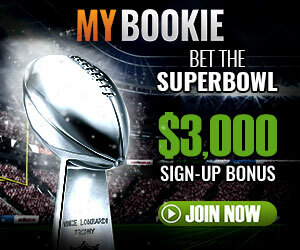 If you are into sports betting with SugarHouse Sportsbook promo code, we are sure you think so too. With Antonio Brown Traded and Steelers themselves making an official statement regarding the same to Oakland Raiders about the same, no more late coming can be entertained anymore. It’s all over the news, that Pittsburgh Steelers’ Players are bad in the discipline. It’s just not being late to the field, the internet is rife with news, that there are also internal disruptions between the players themselves which is affecting the quality of the game. This is dismal and can have serious repercussions on the quality of the player’s performance. It should be simple. Mike Tomlin should have a word with the players to come in line. They need to understand that rules are the same for everybody and nobody like Antonio Brown can be given leeway. With a lot of money involved on the free agents, it is important for the Pittsburgh Steelers to put up a good show. As frequently talked about, Game Knows Game, Game respects the game. This is what needs to be understood. It’s important for Pittsburgh Steelers to stop any more high-profile drama in the future with their players involved. What is required is taking Ownership by the team and by Head Coach, Mike Tomlin. Pittsburgh had acquired Antonio Brown one of the best wide receivers as a 6th round pick. It’s been reported that Brown was repeatedly late. Steelers need to slam the door on such kind of drama. Steelers have allowed their players to become unruly. To be frank, this is the matter of the fact. They need to rethink their strategy on how do they deal with the players. Rules are rules and they are the same for everybody. Antonio Brown had signed a contract with Pittsburgh just two years ago, with a good amount of money, he has a better deal than any other player as far as money is concerned. Still left 3 years into the contract with the Pittsburgh Steelers, Brown pulled it off really well. But it also seemed Pittsburgh was desperate to move him out and wanted to push him off. Antonio pulled off very well with guaranteed money. He was paid more money by the Raiders as well, for just a third round and fifth round pick. Both Brown and Raiders took good advantage of the desperate Pittsburgh Steelers. Antonio, for now, has a much better deal. He has guaranteed $50 million plus. All said and done, Steelers need a lot more discipline to make the game better and to retain the players who are good at their game. A core plan is needed. They can’t afford players moving out with term left into the contract. It’s just not about losing money, it’s about players who can make you win the game, moving out. You aren’t supposed to lose or get rid of game-changers, (the players who make you win), you are supposed to keep them. previous articleIs All Hope Lost for the Steelers Next Season?